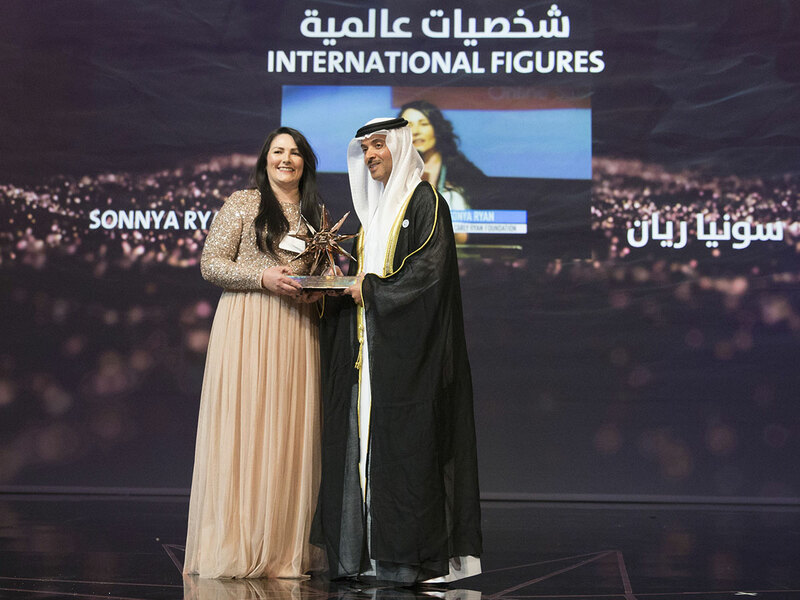 Abu Dhabi: After tragically losing her 15-year old daughter to an online predator on the internet, Sonya Ryan decided to turn her death into a catalyst for change — and to make sure that no other child fell victim and no other parent went through the harrowing experience she went through. For her work, Ryan was honoured in Abu Dhabi on Tuesday, as part of the Fatima Bint Mubarak Award for Motherhood and Childhood. Launched by Her Highness Shaikha Fatima Bint Mubarak, Chairwoman of the General Women’s Union, President of the Supreme Council for Motherhood and Childhood, and Supreme Chairwoman of the Family Development Foundation, the award aims to recognise the efforts made by both individuals and organisations around the world towards protecting women and children. Several officials attended the event, including Lt-Gen Shaikh Saif Bin Zayed Al Nahyan, Deputy Prime Minister and Minister of Interior, and Shaikh Hazza Bin Zayed Al Nahyan, Deputy Chairman of Abu Dhabi Executive Council. Ryan’s journey from grieving mother to activist started eight years ago when she founded the Carly Ryan Foundation in Australia, named after her daughter. The organisation is dedicated to raising awareness about online safety for young children as well as promoting legislation to ensure child protection policies are enshrined in law. “My work began when I lost my daughter Carly. She was murdered by an online predator who posed as a young boy on the internet to lure children. He lured her into meeting up and then killed her. In that immense grief, I knew I had to do something to protect other children,” Ryan said, explaining how she found the strength to start her organisation. “It was a very difficult time after I lost my daughter. I thought I was going to die, and somehow I was able to connect to something bigger than myself and transform my grief into a way of being able to help others,” she added. “Sometimes, I think my daughter is by my side helping me, because I feel her a lot in the work I do. She was a very compassionate and loving young girl and I know she would tell me ‘mom you don’t have much time, you need to do something to protect children’,” Ryan said. In a message to parents, Ryan said they should teach their children how to communicate safely on the internet with strangers, and warned that online predators seek to take advantage of a child’s naivety. We need to teach them (children) critical thinking skills, to build resilience in them — emotional, intelligence, and awareness. All of this is for them to understand how to have a healthy relationship on the internet and how to communicate in a safe manner. “Children online are looking to build relationships and because they’re innocent they believe the people they connect with are good people. They have not been exposed to very bad or evil people and so they’re not prepared for a cunning criminal who is manipulating and tricking them,” she said. Parents must do everything they can to protect children from a very young age, Ryan pointed out. “We need to teach them critical thinking skills, to build resilience in them — emotional, intelligence, and awareness. All of this is for them to understand how to have a healthy relationship on the internet and how to communicate in a safe manner,” she added. “If we can build these skills in our children, it will make them better adults and leaders for the future,” she said. It’s imperative that parents should be on top of what their children are doing on the internet and with whom they are talking to. Commenting on the award, Ryan said she was honoured at the recognition and praised the impact such awards can have on a very important global issue like child protection. “This kind of initiative is absolutely critical, because it gives people hope — especially victims of crimes, because it’s very difficult for somebody in that situation to recover and have normal relationships. 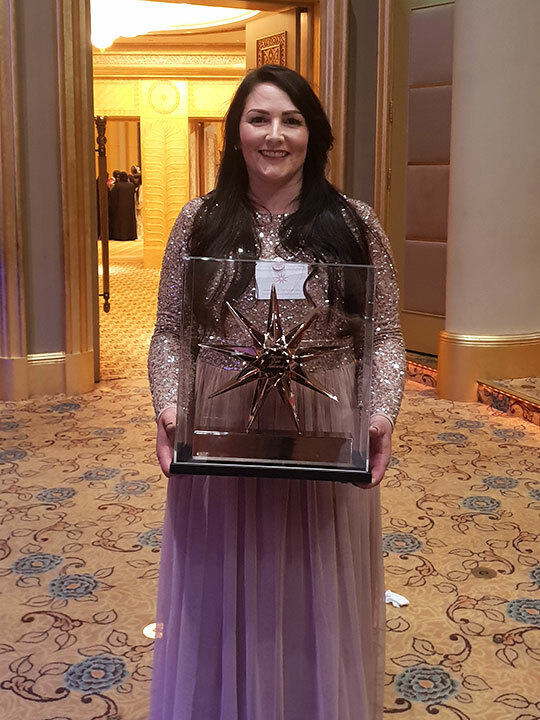 “This award is very necessary to acknowledge all the people around the world and here in the UAE that are working to protect innocent children,” she said.